The death sentence handed to a Canadian convicted of drug smuggling reminded the world that China is the world’s top state executioner. But as former MP and veteran human rights observer David Kilgour tells Convivium readers, Beijing’s vicious persecution of its own minority populations rivals Maoist-era inhumanity. About 20 million Muslim and Turkic-speaking Uyghurs, who make up the largest community in China’s far-west province of Xinjiang, are facing brutal repression by police and others acting on behalf of the Beijing government. After Mao Zedong occupied Xinjiang militarily in 1949, his regime from the 1950s to 1970s relocated many Han Chinese to Xinjiang, inevitably increasing tension between the Uyghurs and local police. One result was the 2009 riot in the capital of Urumqi with considerable bloodshed and loss of life. First conquered by the Qing empire in the 18th century, many Uyghurs in Xinjiang became alienated in the 1990s as central Asian republics gained independence from the former Soviet Union. Long term discrimination by Chinese officials, including difficulty accessing passports, hotels, and banking services worsened the alienation. Other government practices, such as forcing Uyghur women to unveil, having their long dresses cut by local officials, and branding legitimate requests for more religious and cultural respect as terrorism, seriously aggravated tensions. Academic Adrian Zenz of the School of Culture and Theology in Korntal, Germany, estimates that, without any trace of due process, there are more than a million Uyghurs of Xinjiang between the ages of 20 and 79, incarcerated in up to 1,200 facilities. He added in a talk at Harvard University’s Fairbank Center for Chinese Studies that the internment camps are bleak, with endless hours of “re-education” forcing the inmates to think like Beijing. In 2017, President-for-life Xi Jingping began erecting a “re-education” gulag for Uyghur and other Muslim communities. It was similar to the forced labour camps established across China after mid-1999 for Falun Gong and other prisoners of conscience. Both networks receive inmates arrested by public security agencies without any pretence of a hearing, trial or appeal. In 2017, President-for-life Xi Jingping began erecting a “re-education” gulag for Uyghur and other Muslim communities. It was similar to the forced labour camps established across China after mid- 1999 for Falun Gong and other prisoners of conscience. Testimony from witnesses with special knowledge described widespread repression in Xinjiang threatening not only families, but the very survival of the Uyghur identity. They outlined how Chinese authorities now associate all outward expressions of Islam or the Uyghur identity as being evidence of Islamic extremism. Turkic Muslim residents in the region are subject to political indoctrination supported by an overwhelming police presence making unprecedented use of mass surveillance technology. Witnesses described overcrowded and unsanitary prison-like facilities where starvation is rampant, and detainees are punished through physical and psychological ill-treatment. Deaths occur in the camps, particularly among the elderly and infirm. Some witnesses called for the Government of Canada to demand that China allow independent human rights investigators into the province. The campaign brought significant implications for Turkic Muslims outside of China, who cannot communicate with their families. This includes the 2,000-strong community of Uyghurs in Canada, who themselves have 300 family members held in the camps. Witnesses proposed that cases of harassment of Chinese minorities be tracked, and that our foreign ministry raise these cases with Chinese officials. Witnesses said criticism is primarily coming from Western countries and the United Nations; the international community as a whole to date has failed to hold China to account or to protect the Turkic Muslim minority. Some urged the Government of Canada to coordinate its efforts with like-minded states to publicly condemn China for its actions. Others called for the imposition of targeted economic measures against officials who have led the campaign of repression. Witnesses seek targeted economic measures against foreign nationals complicit in human rights abuses be implemented. The brutal campaigns have caused Uyghurs to flee to central and southeast Asia to escape ethnic and religious persecution. 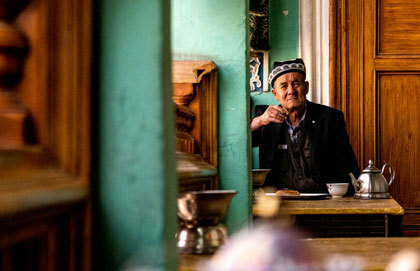 They share ethnic, linguistic, and religious ties with Central Asian populations—Kazakhstan, Kyrgyzstan, and Tajikistan, which border Xinjiang—and are now all economically dependent on China and have yielded to Beijing pressure on Uyghurs. The Shanghai Cooperation Organization has institutionalized the Central Asian countries’ security cooperation, directly targeting Uyghurs. Organ harvesting from Uyghurs appears to have preceded that from Falun Gong. In his 2014 book The Slaughter, Nobel Peace Prize nominee and co-founder of the International Coalition to end Organ, Ethan Gutmann places the persecution of the Falun Gong, Tibetan, Uyghur, and Eastern Lightening Christian communities in context. He explains how he arrived at his “best estimate” that organs of 65,000 Falun Gong and “two to four thousand” Uyghurs, Tibetans and Christians were “harvested” in the 2000 to 2008 period. The Uyghur leadership, aware of the common plight victims of Chinese totalitarianism face, has shown solidarity with the Falun Gong. States protesting victimization of the Uyghur community should continue. The 2018 Universal Periodic Review (U.P.R.) showed glimmers of light, but future efforts should not wait till China's next turn in the U.P.R. cycle several years from now. Both faith and secular communities worldwide, especially the Muslim-majority nations, must speak out strongly about the tragedy unfolding for Uyghurs across Xinjiang. David Kilgour, an MP from 1979 to 2004, is the co-author of Bloody Harvest: The Killing of Falung Gong for Their Organs.